There are numerous stands for your mobile devices on the market. In this review, we’re going to look specifically at Stance by Kenu, one of several products that they make for various models of smartphones. The unit itself is constructed from a premium zinc–alloy. Combined with non–slip feet, you have a very stable base. 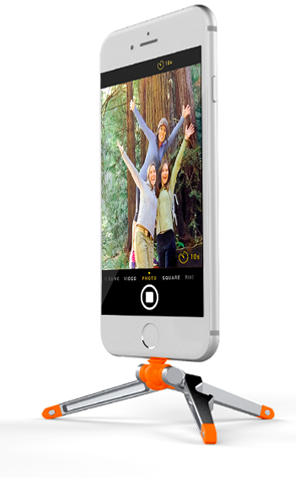 A ball-and-socket joint allows you to tilt and rotate your iPhone freely, allowing you to position it at an angle of your choice in either portrait or landscape mode. 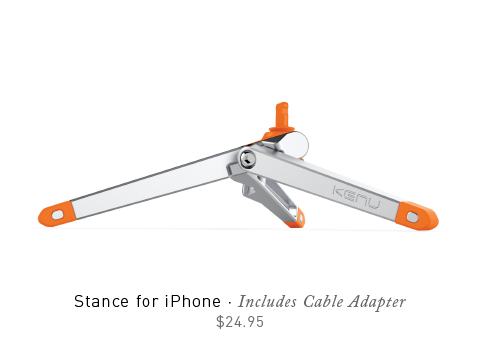 Stance for iPhone also includes a Lightning Cable Adapter which will allow you to continue charging your iPhone while in use. Stance is compatible with most low-profile cases. I used it on my 5C with the Apple designed case and it fit without any problem. This, of course, will vary from case to case. While Stance will insert safely into the Lightning Port of an iPad, you should never use it in this fashion. The iPad is too heavy and large for the Stance to support your iPad safely or securely. Stance was created so that you could record videos, FaceTime someone, create time lapse photography, timed selfies and such, all hands free with your smartphone. 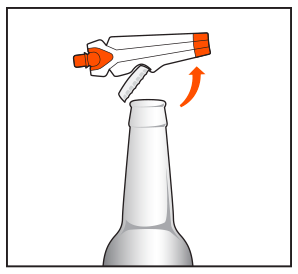 However, you cannot mount it to a tripod. Stance is a stand alone device. In that sense, possibilities are limited. Still, if you take into account its foldability and compactness, Stance will serve a good deal of your everyday needs. And with its sturdy construction, it should hold up over time. The main problem that I see is the price. The Stance costs $24.95. If you’re merely looking to prop up your iPhone, you could most likely find something to lean it against. But if you are out and about, this would suit the bill. My conclusion is that Stance is a quality, durable product. But I feel that the price is over the top. Still, you may think not. And I can honestly say that for my purposes ( most importantly watching MLB.TV while having lunch) it serves a purpose.